Grew Up… in the Shire, a Hobbit’s haven—where Halfling people live in harmony, drinking themselves into merry stupors and eating themselves plump. Frodo always looked up to his favorite uncle, Bilbo Baggins, who had his hand in raising young Frodo with his lively tales of adventure and far-off lands. Living… from safe-house to safe-house, as he transports his uncle’s Ring of Power in secrecy, avoiding orc search parties and the Eye of Sauron—an evil lord in Mordor who wishes to reclaim the Ring as his own. Frodo is joined on the outset of his journey by fellow hobbits Sam (his best friend), Merry, and Pippin. 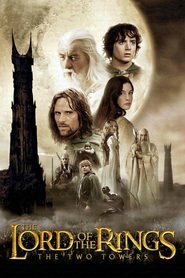 Gandalf the wizard, a longtime friend of the Bagginses, then helps rally the “Fellowship of the Ring” to aid Frodo in his quest, including Aragorn and Boromir from the world of men, the elf Legolas, and the dwarf Gimli. With the Fellowship at his side, hopefully Frodo will be able to successfully reach Mordor to destroy the Ring once and for all. Profession… the bearer of the Ring. This becomes more than a full-time job. The closer he comes to destroying it, the more it takes on a mind of its own. The Ring doesn’t want to be destroyed and it will fight dearly to survive, even if that means killing its own master. Interests… the outside world. Unlike most hobbits, Frodo took interest in what lay beyond the Shire. Constantly fascinated by Bilbo’s stories of elves and adventure, Frodo had spent his life just waiting for an opportunity like this. What he didn’t expect is how much of himself he’d have to give up for an adventure of a lifetime. Relationship Status… single. Though he’s a much-desired hobbit among the ladies of the Shire, described by Gandalf as, “taller than some, and fairer than most,” Frodo opts to forsake female attention to undergo this important quest. Challenge… destroying the Ring, which is far easier said than done. 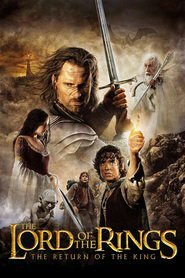 Frodo must avoid seemingly certain death at the edge of thousands of orc swords, and perhaps even more dangers from humans who may wish to possess the ring. Sauron’s Eye is always watching, and rallying seemingly endless forces to stop Frodo and take over all of Middle Earth. 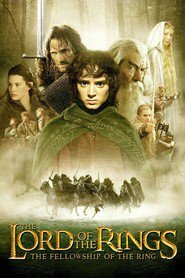 Frodo has some powerful allies in Gandalf and the rest of the Fellowship of the Ring, but the odds are definitely still stacked against them. Yes, it’s a hard world out there for a Ring-bearer. Personality… said to be a “perky chap with a bright eye,” Frodo is good-hearted and devoted to friends, just as he later becomes devoted to saving all of Middle Earth. Danger scares him, but he doesn’t show it as much as a lesser hobbit would. Where most men would fall to the seduction of the Ring of Power, the hobbit Frodo remains steadfast and loyal to his quest. Frodo Baggins's popularity ranking on CharacTour is #133 out of 5,000+ characters. See our top-ranked characters and read their profiles.